Not everyone can understand how a process works by reading words alone. In a lot of cases, being able to see it pictorially and in practice enables someone to understand it further. It becomes more than just theory. For example, in 1869, Charles Joseph Minard, a pioneer in his time in statistical analysis, depicted the downfall of Napoleon’s historic loss of the Russian invasion in 1812. He did this by orchestrating numerical data on a map of the border between Russia and Poland. Underneath all his work was the data visualisation process. Data visualisation is a technique usemd to create and analyse the way data is represented such as through the use of graphs and tables. 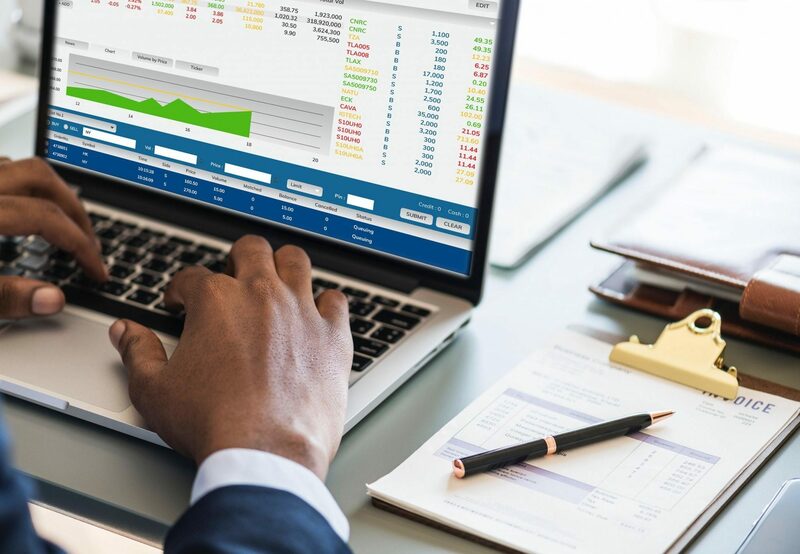 When data is shown in the most efficient way to a user, it becomes more accessible and easier to understand and use for further research and hypotheses. With the ever growing amount of data that is being collected and used, being able to show it effectively is extremely important. It is an expanding challenge and data science techniques are needed in order to provide solutions. Effective graphics take advantage of pre-attentive processing and attributes and the relative strength of these attributes. For example, since humans can more easily process differences in line length than surface area, it may be more effective to use a bar chart (which takes advantage of line length to show comparison) rather than pie charts (which use surface area to show comparison). Send us a message to learn how our Data Visualisation can help your organisation gain a competitive advantage. Not actually applying the principles to a data set may lead to incorrect or inaccurate tables or graph. This then leads to the incorrect conclusion being made from the data, leading to further errors in key decision making and further hypotheses. Categorical subdivisions are compared against a reference. A bar chart can show comparison of the actual versus the reference amount. Comparison between observations represented by two variables (X,Y) to determine if they tend to move in the same or opposite directions. 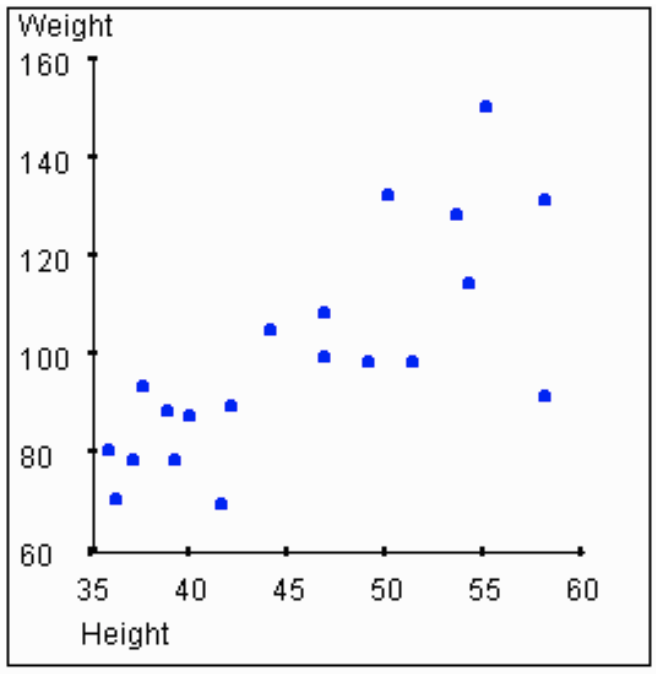 For example, plotting someone’s weight (X) and their height (Y). A scatter plot is typically used for this message. A single variable is captured over a period of time, such as the inflation rate over a 10-year period. A line chart may be used to demonstrate the trend. Categorical subdivisions are measured as percentage. A pie chart or bar chart can show the comparison of ratios, such as the market share represented by competitors in a market. Categorical subdivisions are listed in ascending or descending order, such as school class sizes (the measure) by year group (the category, with each year groupo a categorical subdivision) in a school year. A bar chart may be used to show the comparison across the year group. Shows the number of observations of a particular variable for given interval, such as the number of years in which the stock market return is between intervals such as 0-10%, 11-20%, etc. A histogram, a type of bar chart, may be used for this analysis. A boxplot helps visualize key statistics about the distribution, such as median, quartiles, outliers, etc. Comparison of a variable across a map or layout, such population by country or the number of persons on the various floors of a building. A cartogram is a typical graphic used. Comparing categorical subdivisions in no particular order, such as the sales volume by product code. A bar chart may be used for this comparison. Analysts reviewing a set of data may consider whether some or all of the messages and graphic types above are applicable to their task and audience. The process of trial and error to identify meaningful relationships and messages in the data is part of ​data mining​. Want to learn more about how Data Visualisation is being used in your industry? Then contact us to book a Free Consultation and learn how our Data Visualisation capabilities can streamline your business. How Can Data Visualisation Improve My Business? Data presentation architecture (DPA) is a process that sets out to identify, find, manipulate, format and present data in such a way as to optimally communicate meaning and proper knowledge. It is critical to business intelligence. DPA is a skill set that includes determining what data is to be chosen, on what schedule and in what what it is to be presented, not just the the most effective way to present the data. Data visualisation techniques are an element of DPA. The objective of DPA is to provide knowledge in the most efficient and effective way as possible. This is done by reducing and removing noise, complex and unnecessary data and providing relevant and complete data which displays its meaning. By doing so can improve understanding and enable better key decisions to be made. Utilizing appropriate analysis, grouping, visualization, and other presentation formats.